"The cameras were rolling -- it was live from coast to coast, a special twelve-hour program, and click Dark was the host." Bats, typically nocturnal creatures, gather for a 12 hour dance-a-thon, American Batstand style. Starting early at one o'clock, they start with the shug, moving through various other dances like the twist, hootchi-coo and hokeypokey as the clock strikes hour after hour all the way to midnight. Click Dark hosts the rockin' dance event and a special bat in blue suede shoes makes a late night appearance. Little mice hold up analog clock images at each hour, making the book especially fun for kids that are learning to tell time. This is the third book in Applet's bat math book series that includes Bat Jamboree (counting) and Bats on Parade (multiplication). The rollicking verses rhyme, and Sweet's humorous watercolor illustrations add a fun twist to the story with images like a "Gotham Electronics" store and bats lined up in the street doing the locomotion. 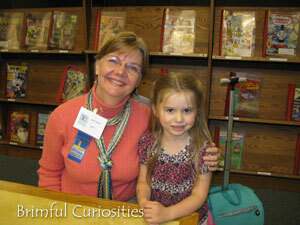 A couple weeks back we attended the Sheboygan Childrens Book Festival. 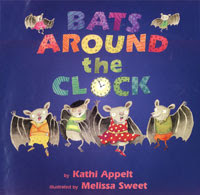 We bought several books while there including Bats Around the Clock by Kathi Applet. While we didn't have a chance to attend any of her presentations (you can only do so much with two little kids in tow), we did get a chance to meet her at the book signing. She is the author of many books, both picture books and those for older readers including The Underneath, a 2009 Newberry Honor book. Last year Filth Wizardry posted some awesome Toilet roll bats with accordion folded wings. I really didn't want to get out the black paint this week so we modified the craft by drawing and cutting a paper body out of black cardstock instead of using the toilet rolls. The kids added google eyes and decorated the bats with glitter glue. We cut a brown pipe cleaner in half to make the legs. The wings are made from a piece of black construction paper that we accordion folded and stapled in the center, creating a fanned-out wing. Prior to folding we cut out notches on the bottom to make a bat wing shape. Glue Dots came in handy to attach the body to the fanned-out wings. Our bats have danced all around our house and like hanging upside down from the throw on our couch. By the way, if you'd like a clock craft, Almost Unschoolers posted one earlier this year. 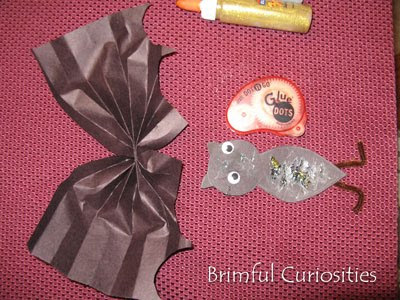 Kids could easily add some fingerprint bats around the clock printable! I ADORE your bats! They are so simple and yet SOOOO cute! LOVE THEM! Thank you for linking up to Kids Get Crafty and the mention! Very much appreciated! We own that book too! I never heard of the bat math series,thank you for the information. I love the bat toliet paper craft, especially the picture of it hanging upside down. Thank you for sharing. This is such a clever idea. I love the bat, it is so cute! 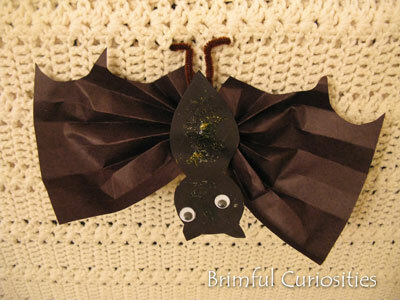 Another cute bat craft to try making sometime. I have been collecting bat ideas because my boys just love them. Those books sound neat! This is a great book with fun crafts too. Parents should love this for the kids. I love your bat. The books sound great too. Bats freak me out, but that one is cute! Cool that you got to meet her. We just checked out Bat Jamboree. We'll have to try that bat craft. 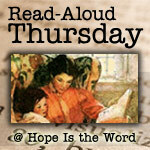 I'm interested in reading some of her young adult fiction too. How cool that you got to meet her! I think we may try to check out the Sheboygan Festival in October- it's not too far away. I like the bat craft too-- I tagged that idea for next year. Thanks for visiting my blog!